I forgot how much I loved egg rolls and dumplings until I was reunited with them in my very own kitchen last week. 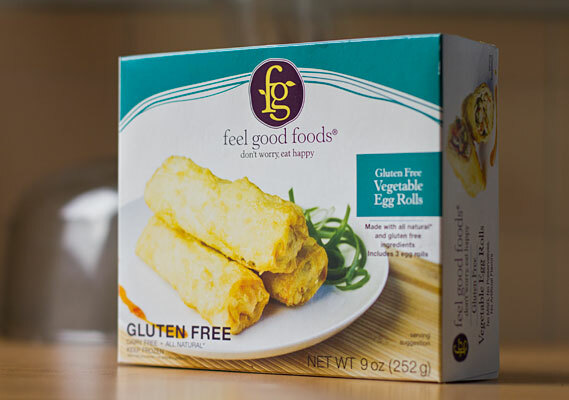 Based in San Francisco, Feel Good Foods is an amazing little company that’s stocking specialty grocery stores nationwide with frozen gluten free eggrolls and dumplings. Owner Vanessa Phillips and her husband have developed an excellent product that’s not only easy to prepare in your own kitchen but also tastes just like what you’d get in a restaurant. 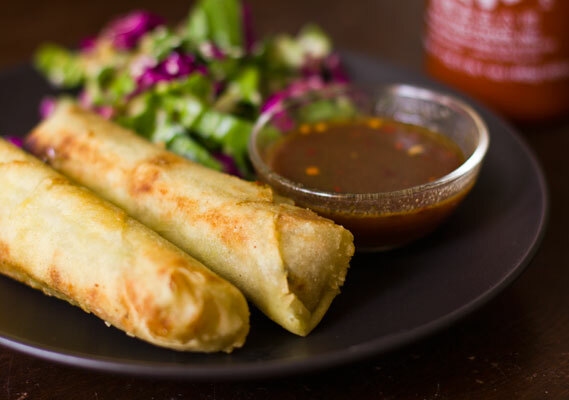 Per Vanessa’s suggestion, I deviated from the (healthier) instructions on the package and cooked my vegetarian eggrolls first for a minute in the microwave, and then crisped them up for several minutes in a pan with a few tablespoons of oil. Making sure to rotate them as each side browned, the eggrolls turned out perfectly. I threw together a little salad and dipping sauce to make it a meal (see above photo). 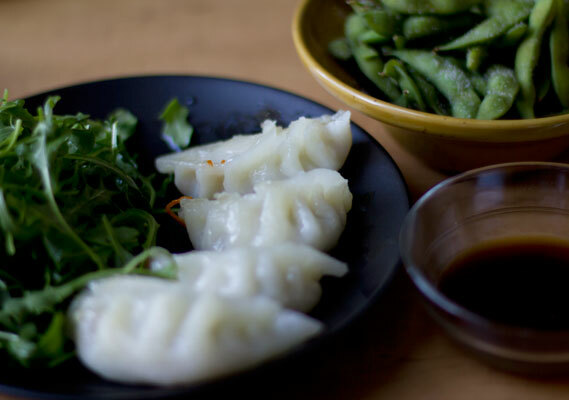 Feel Good Foods handmade vegetable dumplings are easily prepared in a nonstick pan with a little bit of water and oil. Each box comes with 8 dumplings and a tasty dipping sauce. Paired with an arugula salad and steamed edamame, it was a perfect lunch for two. Check out their website to view each product, they’ve even posted cooking demos and a great FAQ page.